Locally owned and operated for nearly 14 years, SecuCast offers a complete range of electronic security solutions for commercial and residential clients in the San Antonio, Austin and Houston, TX areas. Safeguard your home or business from threat with our company’s innovative security systems, including live video surveillance, home and outdoor perimeter protection and managed access control. Our experts are on hand to assist you with determining the solution that’s right for you, as well as installation, maintenance and 24/7 support. Don’t wait for a crime to occur – prevent it with our Virtual Guard monitoring service: real-time, active incident monitoring and instant notification technology. Monitor your property and stop intrusions before they start - or reduce the occurrence of false alarms - with our state-of the-art perimeter protection systems. Keep your home or property (as well as those who live or work there) safe with our full-service access control solutions, which can be customized to meet your needs. Harness the power of video face recognition and to or grant access to your home or business directly from your smartphone or tablet. Track and analyze event-related data to determine patterns or discern areas and times where additional security is needed. Store and access your data on our secure cloud-based servers, and eliminate the need for expensive, failure-prone in-house hardware. 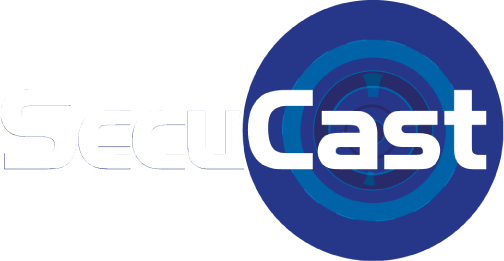 Located in San Antonio, TX, SecuCast has been serving the needs of our clients for nearly a decade. Whether you’re a commercial business owner interested in protecting your facilities from theft and natural disaster or a homeowner concerned about the safety of your family, we have a security solution that’s right for you. "Leo and his team have worked with us over the last several years and have installed CCTV camera systems at both of our facilities. The work performed was always top quality! Leo has excellent written and verbal skills, and is extremely organized. He and his team were very professional, working independently making sure all projects were completed on a timely basis. They also made sure our staff was properly trained on the software, and were always available to offer assistance in order to make sure all installed equipment was functional at all times. I highly recommend their services." "SECUCAST has been a customer of ADI for 10 plus years. They are a very professional and care about their customer. Customer service is number one to this company. I would recommend them and trust them to do work at my company or home. " "They keep us informed of the progress of the project and respond to questions quickly and communicate with us after the project ends to see if there are any modifications needed." "Jesse and Leo are amazing at work orders and are very prompt to come out and get things taken care of. They are wonderful to work with. I enjoy working with them... Great Company!!!!" SecuCast is licensed by the Texas Department of Public Safety Private Security Bureau under license B16189.